Why is warm-up so important? For one, the activity or your job that you were doing it shifts your mind and gets not only your body ready but your mind ready. 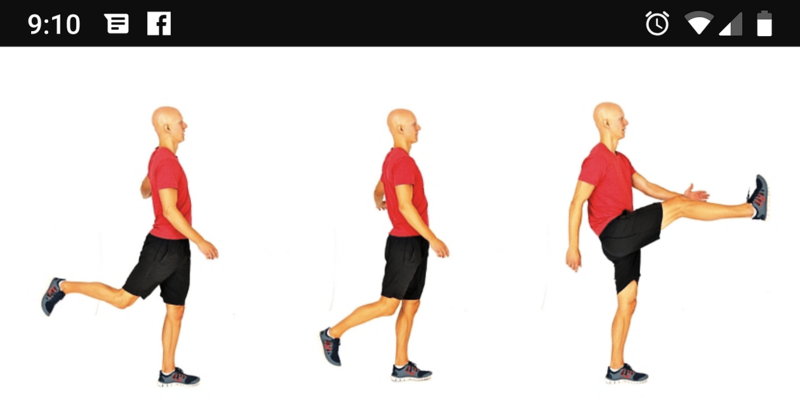 I had a runner over the weekend tell me they don’t warm-up before a race – the runner asked if that’s why his/her hamstrings feel so tight and stiff. Absolutely! Warm-up gets your cardiorespiratory and neuromuscular systems and metabolic energy pathways stimulated. Muscles contract and, to meet their increasing demands for oxygen, your heart rate, blood flow, cardiac output and breathing rate increase. Blood moves faster through your arteries and veins and is gradually routed to your working muscles. Think of it this way: those of you in the colder states think of just getting in your car without defrosting the windshield and rear view mirror. Your car has to work harder and you can’t see. You’re basically doing the same thing to your body. You also risk injury. Warm-up is injury prevention. You can’t go from sitting or working and just into a workout without a proper warm-up to get your body and mind prepared. Your body will not like it. Your brain tells your body what to do. Your blood temperature rises and oxygen is released quicky, raising the temperature of the muscles. This allows the muscles to use glucose and fatty acids to burn calories and create energy for the exercise. All of these processes prepare the body for higher-intensity! You cheat your mind and body when you don’t warm-up! 6. Allows you to comfortably perform longer workouts because all of your energy systems are able to just do exercise, preventing the build up of lactic acid in the blood. There are many different ways to warm-up! You want to warm-up specific to your sport or the workout you’re about to do. For instance, swimmers do arm circles, torso rotations, leg swings, hip circles then get in the pool and do a warm-up specific to their workout they’re about to do. Some do static stretches. Basketball players warm-up different, etc! When I go to warm-up for my run I do some dynamic then some functional stretches then I go run! Static stretching is to be saved for after. It’s telling the body it’s time to relax by stretching it back to it’s normal range of motion!